This popular game was originally released by Taito into the arcades during December 1982. 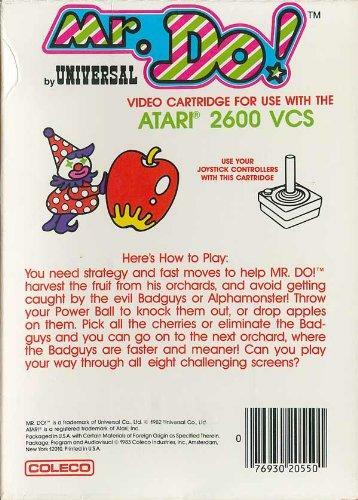 It was then ported to many video games systems and home computers including the Atari 2600, Atari 8-bit computers, Colecovision, Commodore 64, MSX and Apple II. There was also an LCD handheld version released by Tomy in 1983. Mr. Do! is a circus clown (for whatever reason!) and the main object of the game is to dig tunnels in order to collect a harvest of cherries from the orchard. If he collects 8 cherries in a row then a 500 point bonus is given. The game plays like a cross between Pac-Man and Dig Dig. Red monsters spawn at the centre of the screen (they're sort of like dinosaurs?) and continuously chase Mr. Do!, in a similar fashion to those ghosts. 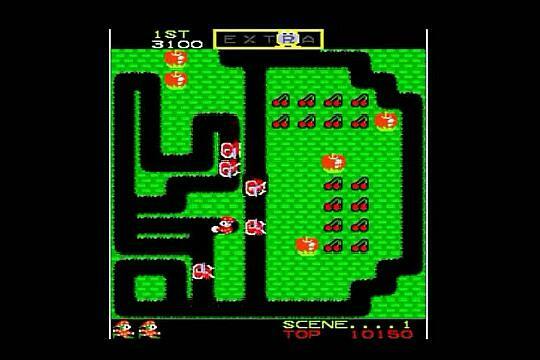 One way to dispose of them is to dig under the apples at the right moment so they fall and crush a monster (as in Dig Dug). Sometimes the red monsters become multi-coloured and this gives them the power to tunnel through the ground. Mr. Do! also has a bouncy power ball which can be aimed towards the monsters. 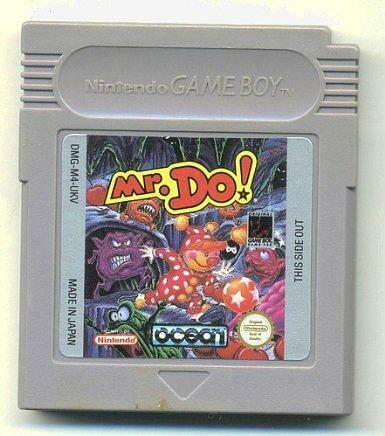 In the original Japanese game, Mr. Do! was actually a snowman. I suspect that the seasonal nature of the character forced a rethink for marketing purposes. As with many games from the first half of the 1980s, memory restrictions didn't allow for a high number of levels. 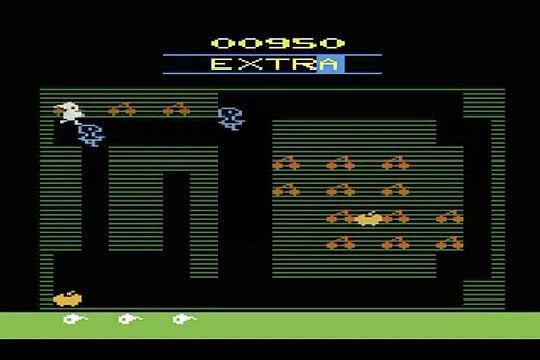 There were just eight screens in the Atari 2600 version and this was pretty normal back then. 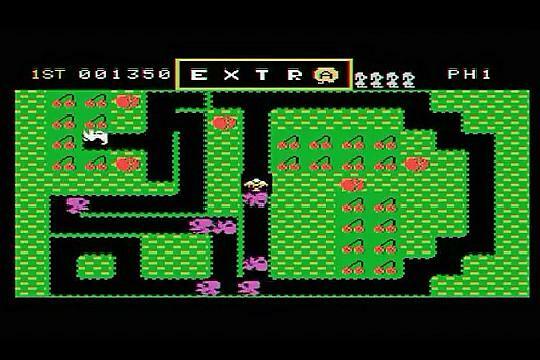 Other similar 80's games were Dig Dug and Boulderdash, the latter being released in 1984 and featuring a level editor. The video at the top of the page compares twelve different versions of the game, starting with the arcade version. There's even a version for the Sharp X68000, a computer that was only ever released in Japan. This instructions leaflet came with the Atari 2600 game manufactured by Coleco.